Anirban Lahiri, starting the final day, four shots clear of the field, dropped a crippling quadruple bogey on par-5 third hole and that in a single hole wiped away his overnight lead. For the second week in a row, it was heartbreak for Anirban Lahiri as he failed to cross the line after being in a seemingly commanding position at the end of three rounds and eventually finished tied third in the CIMB Classic in Kuala Lumpur. Lahiri, starting the final day, four shots clear of the field, dropped a crippling quadruple bogey on par-5 third hole and that in a single hole wiped away his overnight lead. Last week Lahiri lost a play-off after seven birdies in a row in last seven holes in Macao. Justin Thomas (64), meanwhile, birdied two of the first three holes and went ahead and then kept his foot on the pedal to retain the CIMB Classic title that he won 12 months ago. He never let go off the lead despite a great fight back from Lahiri, who birdied fourth and eagled fifth to make amends. But they proved insufficient, as he bogeyed sixth and thereafter his putts kept burning the lips, but did not fall in enough. 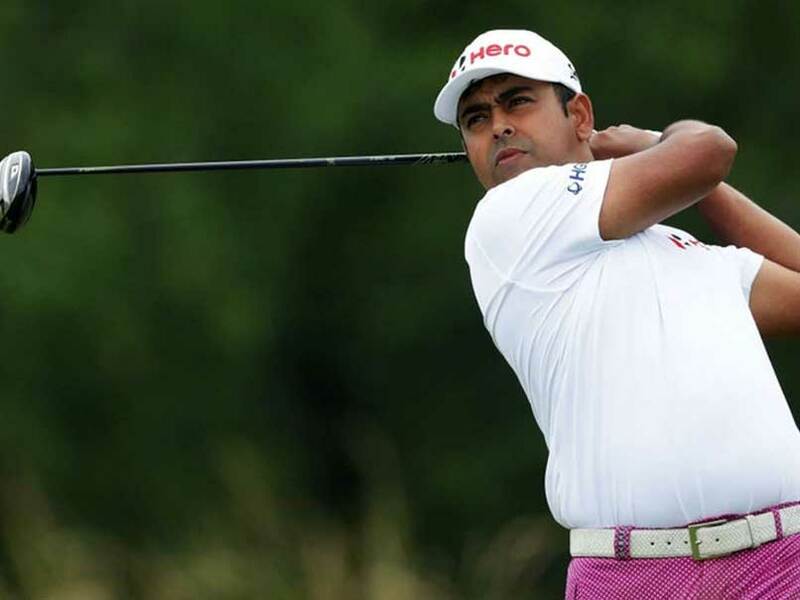 The only consolation for Lahiri was a good start to the 2016-17 season, which also produced his career-best finish at tied 3rd, bettering his tied 5th at 2015 PGA Championships. When the round ended, Thomas was 23-under and in second was Japan's Hideki Matsuyama (66) with a birdie-birdie finish for 20-under, while Lahiri tied for third with Derek Fathauer (67) at 19-under in the USD 7 million event sanctioned by the Asian Tour and PGA Tour. While Thomas moved to the top of the FedEx Cup standings, Lahiri saw a whole lot of rewards slip by. 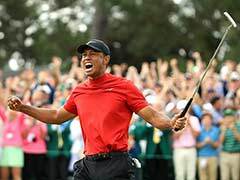 A win would have earned a two-year exemption on PGA Tour, besides virtually ensuring a place in FedEx Cup play-offs at the end of the 2017 season as the winner got 500 points and the last place to get into play-offs in 2016 needed 408 points. 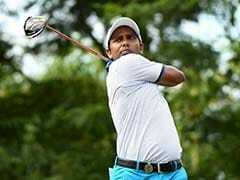 A win with a purse of USD 1,26 million would have also sealed for Lahiri a second straight Asian Tour Order of Merit and secured a move into top-50 of the World Rankings and also got him his Masters invite. Congrats @JustinThomas34 you played rock solid today. Thanks for having us Malaysia @CIMBClassic. Always good to be here. Lahiri had his woes each day -- it was back to back bogeys on last two holes in first round and a double bogey on closing hole on second day. On the third he had yet another double, but still showed great resilience for form to bounce back and lead by four. But on the final day, the quadruple bogey on the third, where his playing partner Thomas birdied for a five-shot swing was just too much to keep the title hopes going. On the par-5 third, which he had birdied on second and third day, an errant drive ended amongst the palm trees and from there he tried and failed with a brave shot. More errors compounded that and it all added up to a nightmarish nine. He bounced back bravely with a birdie on four and an eagle on five, but with his putter going cold on the homestretch, Thomas ran away with the tournament. 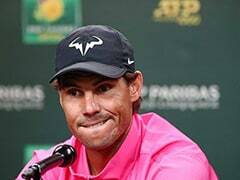 Crestfallen Lahiri admitted, "Disappointment obviously. It was obviously a harder start. I got unlucky with the tee shot and just compounded my errors. My short game again, coming up a little bit to bite me. I tried my best. I fought back as best I could, but I just couldn't get the putts to fall on the back nine. "I had numerous lip outs and then just really disappointed that I didn't birdie 17 or 18 or even 16, for that matter. Just didn't get the numbers right with my wedges. I didn't hit them close. It's very disappointing." With his game going up by several notches over the last year, Lahiri knows his time will come, but added, "I have the confidence. It's not like I need additional confidence. But I need validation now. I need validation in terms of my game. I need to see that happen. It's just not happened enough, and it's been a year of near misses so far." Thomas, who birdied his closing five holes on Saturday to stay in contention, enjoyed a fast start by picking up four shots over his opening five holes before turning in 31. He also birdied 10 and subsequently coasted home to a second PGA Tour victory with further birdies on 16 and 17. Speaking of Lahiri's misfortune, he said, "That was just unfortunate, it really was. You never want something like that to happen. That's one of the things that happens when you win, you get a little luckier breaks. You get fortunate. Anirban, he really played well. He hit some really good putts that didn't go in, and there's nothing for him to be down or upset about."